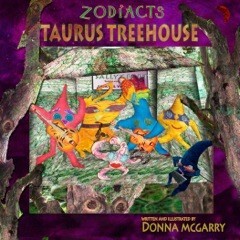 Donna McGarry is the author of several, brightly illustrated children’s books known as the “Zodiacts” series. It’s hard to say which is more charming, the delightfully original artwork, the poetic prose or the messages behind these clever stories. 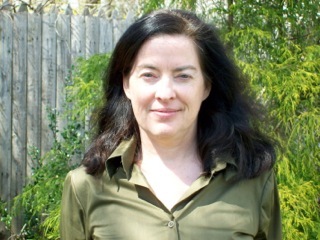 Her characters are whimsical with distinct personalities which children can relate to. The illustrations nearly jump off the pages with their dazzling colors presented in an original style guaranteed to make you smile and hold any child’s attention. As you may expect, these stories all have an astrological theme. Whether or not you’re a fan of astrology the messages in these stories are applicable to life. 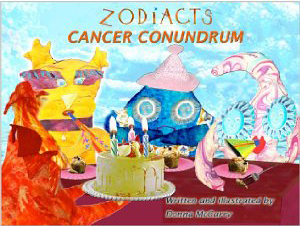 Each astrological sign relates to a theme or archetype which Donna takes down to a child’s level with an entertaining story that illustrates an upbeat and insightful lesson. Each is not only enjoyable at face value but also useful for further discussion between a parent and child. Early education professionals and daycare providers could also find these books useful teaching tools. 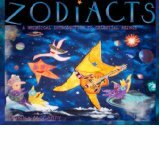 MF: Your Zodiacts series of children’s books is unique in numerous ways. The stylistic artwork is highly innovative, most of the characters are shaped like stars while still maintaining different personalities, and your themes derive from astrology. How did you originally come up with this unique combination? DM: When I was little I had those gorgeous Prismacolor pencils. I was always doodling dancing star characters with little hats, heels and sparkling eyes as well as flying fish type creatures. I became fascinated with astrology as a pre-teen. I used to sneak into the pharmacy and furtively read the Dell Horoscope magazine. My friends were interested, but didn’t care to learn more than their own or maybe a boyfriend’s Sun sign. They thought it was too complicated. Most of my twenties were spent studying acting. Later when I got into sewing, I was inspired to create star characters based on the zodiac signs. I thought if I could create memorable characters who embody the essence of a sign, or act out those qualities, Zodiacts- it might facilitate understanding. MF: As is the case with most children’s books, your illustrations add another dimension to the stories in and of themselves. Your bright colors and stylistic artwork remind me of the psychedelic designs popular in the 1960s. Did you receive any formal art training or inspiration for your unique methods of blending your whimsical characters with realistic photographic accents? DM: No formal training. I always loved museums, art and color. As a kid, I was a big Dr. Seuss fan and thought Peter Max and Saul Steinberg were very groovy. MF: Is your artwork strictly digital or do you also employ more conventional methods? DM: I started the books with my own cartoon drawings years ago but something was missing. Namely talent! When a friend suggested I make a fabric book I was befuddled. Then I realized I could use the plush dolls my friends and I had created as astro characters. It wasn’t until I accepted the computer (kicking and screaming during a Uranus transit) and Photoshop into my life that things started to fall into place and the Zodiacts were born. MF: Your stories draw their themes from astrology. As an astrologer myself I recognize the great lessons inherent in the zodiac and its archetypes. Are you a practicing astrologer or simply knowledgeable in that ancient art? DM: I’m a level one graduate of Steven Forrest’s Evolutionary Astrology Apprenticeship Program. I do love interpreting charts, and enjoying astro banter with my pals, but since I started these books back in 2007, illuminating the Moon’s antics through the signs has become my primary passion. I’m hoping to bring Moon signs into the mainstream. MF: Would you mind sharing your own sun sign? Any comments on how your natal chart contributes to your work as an artist and writer? DM: I’m a Cancer with four planets in the 9th house. As you know, the 9th is the house related to higher learning, philosophy and publishing. Leo, which represents children, hobbies and creativity is the sign on that house cusp. The sign Cancer is ruled by the Moon. I have always been mesmerized by the Moon, and feel more affinity with my Moon sign, Aquarius, than I do with Cancer. One of my compulsions is to encourage people who are not that familiar with astrology to learn more about their charts. That they have a Moon and Venus sign etc., as well as a Sun sign. My Aquarius Moon is in the 3rd house which, I feel, bodes well for writing quirky children’s books. I think my Cancer Sun has to do with creating my own family of stars. MF: What advantages do you see for children learning about astrology at a young age? DM: To my way of thinking, astrology is the study of the cosmos and human nature. I believe it fosters compassion, empathy and a sheer delight in the eccentricities of behavior. Is any age too young to appreciate and start a dialogue about the nuances of personality? Plus, it’s just plain fun! MF: Are your characters based on people you know who belong to the different sun signs or are they strictly composites? Or would you rather plead the 5th Amendment? DM: I jokingly stated in my 1st book that all resemblance to persons living, dead etc. were purely coincidental except in the case of Penelope Pisces who was the celestial incarnation of my sister Madeline! I love people and their fun, wacky quirks and yes, the characters are based on, and/or are composites of my favorite people. MF: The majority of children’s book have both an author and an illustrator yet you have been able to fill both roles. Which talent do you feel predominates, writing or artistic? In other words, do you see yourself more as one or the other or simply a comfortable combination of both? DM: I don’t feel particularly adept at either. Just hard-headed and determined. I have a lot of squares in my chart! People tell me that I’m an artist and I love to create so I’ll pick that. MF: Which part of the creative process do you enjoy the most? DM: Sometimes I fear that I won’t get any ideas or that the light will go off, so any time I get a spark it’s good! I also love getting an expression on a character’s face just right. So far I have turned two of the books into iPad apps and loved the process of animating the characters. Hearing people laugh and enjoy my work is great. MF: Which part of your work is the most challenging? MF: There are numerous individuals out there who have negative feelings toward astrology and thus object to exposing children to its teachings. Is there anything you’d like to comment about that? DM: As I’ve said before, to my way of thinking astrology is the study of people and human nature. Different signs have different energies. Of course we all encompass all the signs in our charts, but if a person has a preponderance of gentle Pisces energy, that person might not get along so well with someone who’s got a lot of Martian or Scorpio energy. With all the bullying and coercion the kids have to deal with these days, I think the sooner they start to identify different personality signatures the better off they’ll be. I believe the stigma against astrology is beginning to erode and more people are starting to appreciate it for the self-knowledge tool that it really is. I absolutely love these books and have left reviews for all of them on Amazon and Goodreads. 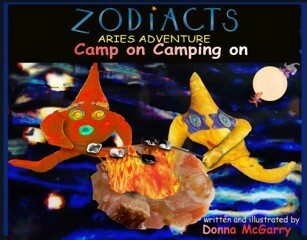 “Aries Adventure: Camp on Camping On” shows that different people enjoy different activities which reinforces an understanding of individuality along with the important concept of “me.” The lovable characters in “Taurus Treehouse” encounter difficulties which could help a child depersonalize his or her own unpleasant situation and alleviate feelings of isolation, self-pity or rejection that often accompany time wrought with trouble. 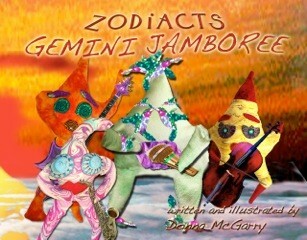 “Gemini Jamboree” is saturated with Mercurial wit, joy of learning, and even a hint of the Trickster which will delight children of all ages. “Cancer Conundrum” can help children learn about their own emotions as well as how their moods can affect others. 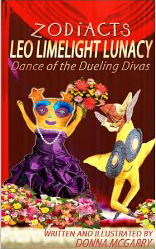 “Leo Limelight Lunacy” shows the need for balance as well as the benefits of working with others to achieve your goals. 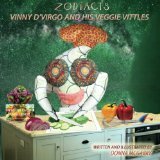 Her most recent episode, “Vinnie d’Virgo and his Veggie Vittles” addresses healthy eating in an amusing yet honest way. Aries Adventure: Camp on Camping On! This entry was posted in Interviews and tagged Aries Adventure, astrology, Cancer Conundrum, children's books, Donna McGarry, Gemini Jamboree, illustrators, kidlit, Leo Limelight Lunacy, picture books, Taurus Treehouse, Vinnie d'Virgo's Veggie Vittles, Zodiacts by Marcha's Two-Cents Worth. Bookmark the permalink.